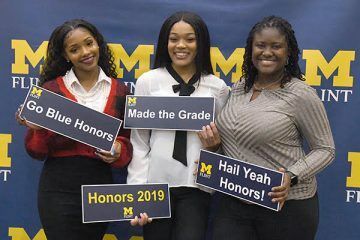 Each year, the University of Michigan hosts an Honors Convocation to celebrate the achievement of undergraduate students with distinguished academic records from each campus, including the University of Michigan-Flint. 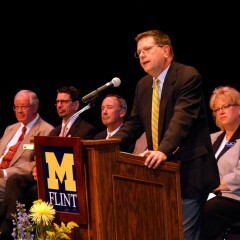 The March 24 event marked the 96th year that the event was held in Ann Arbor. 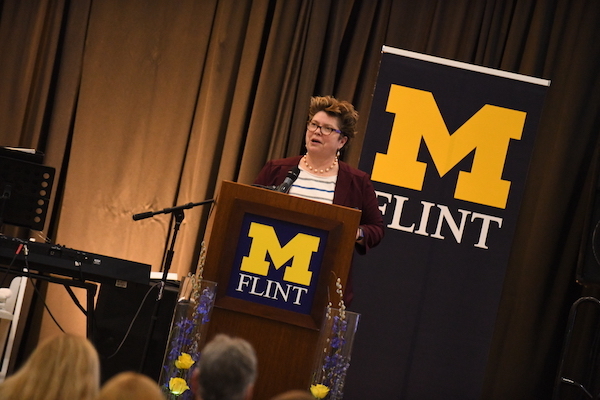 On Tuesday, March 26, continuing a tradition started last year, UM-Flint held its own reception to honor the academic achievements of its own students. 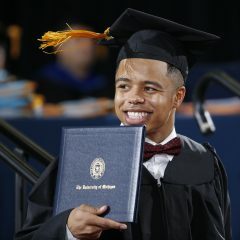 University Honors is given to undergrad students who completed a single semester in the previous year including at least 14 credit hours, at least 12 of which were graded, with a semester GPA of 3.5 or higher. This prize is presented in March to those first-time freshmen who were enrolled for at least 14 graded credit hours the previous Fall semester and finished in the top five percent of their class. The prize is a book with an inscribed nameplate on the inside cover, chosen by the student from an impressive list. First-time freshmen with prior dual enrollee credit from another institution or more than 12 UM-Flint credits are not eligible. Branstrom Prize awardees appear below and are designated by an asterisk (*). Students who achieve an “A” record (all grades of A+, A, or A-) for two or more consecutive terms are recognized as James B. Angell Scholars. The student must have taken a minimum of 14 credit hours each term. James B. Angell Scholars appear below and are designated by a plus mark (+). 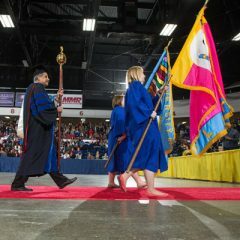 The University Honors designation is awarded to students who earned a 3.5 grade point average or higher during a term. The student must have taken a minimum of 14 credit hours during the term, at least 12 of which were graded. Congratulations to all the recipients for their hard-earned honors status, and Go Blue!